In a nice piece of Genealogical Journalism, Steve Danko (eminent Polish genealogist — see my blogroll on the right), posted about the Social Security Administration (SSA) changing its Death Master File (DMF), aka the Social Security Database or SSDI, that we use as a major source of genealogical data. Their change, which you can read about in Steve’s blog, took place on November 1st (two days ago) without much fanfare or any fore knowledge. Now as an IT Expert for the last quarter century, I understand the SSA’s rationale — it is a data privacy / legal issue. Its impact is immediate. 4.2 Million records have been deleted from the former 89 Million records (approximately 4.72%) and have vanished because it was “Sourced” from various US States (and not updated from those States’ records). This article is not about discussing the whys and what-nots of the SSA’s decision. This post is about the ramifications of that decision for genealogy. Two impacts are explicit. 4.2 Million source records disappeared. Going forward, 1 Million records per year will not be loaded (or is it more proper to say, will be in suspense until a source comes forward for that death). Let’s talk about the 4.2 Million records that disappeared 1-November-2011. Some percentage of those records were used in some genealogist’s family research and are documented therein. However, the source is now gone?? 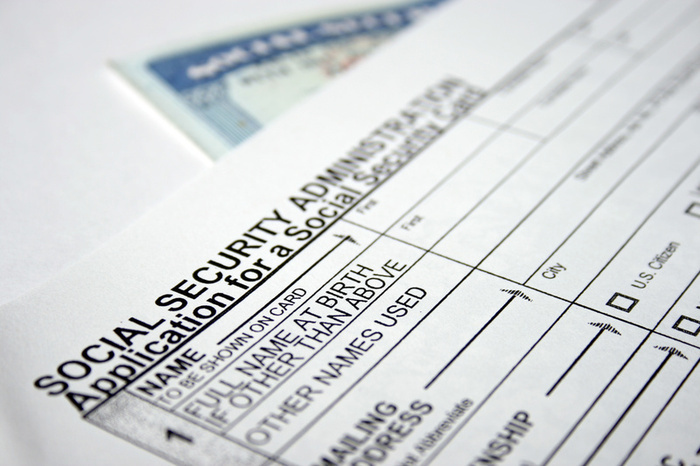 If you were diligent and documented the SSA’s DMF (aka SSDI) in your research and that record disappeared, then future researchers will be left wondering what happened. Is this researcher accurate? So, I propose that everyone use their favorite DMF/SSDI and verify their source is still there (or that it is gone). Furthermore, if it is gone, then I propose a note be entered in your source documentation of this “Event” that happened 11/01/2011 and that a reference back to the state where the death took place (and/or county) be mentioned as the place to get extant documentation and that the previous source documentation was removed by the US Government pursuant to this “Event”. Apparently, you will need to verify your DMF/SSDI source for ALL deaths from 2002 through to 11/01/2011. Before that , there are no changes that need to be verified. Use your family tree software, pull a report of deaths from 2002-2011 inclusive and work your way through the list. I think it is still a FACT. The death is still a FACT; but the evidence to support the FACT is now missing unless you have a death certificate or other source for the death date / place. That is why I propose a note be placed into your documentation of your sources. What you know, has NOT changed. How you know of the death has effectively been changed (rug pulled out from underneath you). There is so much more that could be discussed on this topic. But this much is my topic and the subject of this post. Good Luck and get started.